The brew head gasket creates a seal between the portafilter and the brew head. Over time this gasket will wear, harden or crack and water will begin to leak around the portafilter during brewing. We recommend this gasket be replaced every year or so. 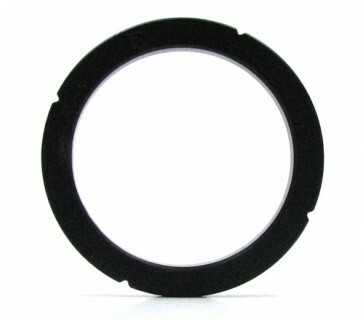 This 58mm gasket is made by Rancilio and is designed to fit all versions of the Silvia. Please note: Replacing this gasket is part of the normal wear and tear/maintenance of the machine and is not covered by your warranty. Please only purchase this to install if you feel technically skilled enough to do so, as we cannot provide any technical assistance over the phone.